The Fly Club, an unrecognized all-male final club. UPDATED: March 7, 2017 at 1:35 a.m.
Dean of the College Rakesh Khurana has tasked the Honor Council with helping enforce the College’s historic penalties on members of single-gender social groups, accepting the majority of recommendations from a wide-ranging report on the social group policy Monday. 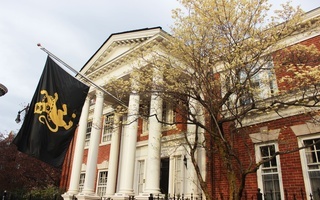 The 46-page report, produced by a committee charged with recommending how to implement the College’s penalties, also calls for the creation of a new category of recognized social groups on campus, grants sororities and female final clubs an extended timeline to become co-ed, and significantly expands the number of fellowships barred to members of final clubs and Greek organizations. Khurana emailed the report to the student body Monday afternoon and wrote he was accepting nearly all of the committee’s recommendations. Under the recommendations, students, starting with the class of 2021, who seek leadership positions, captaincies, or fellowships will have to sign a written statement affirming their commitment to “nondiscrimination on the basis of characteristics of ‘intrinsic identity,’ including gender.” Students will also have to affirm they do not currently belong to a single-gender final club or Greek organization, did not belong to one in the past year, and will not belong to one the year after their tenure in a leadership position or athletic captaincy ends. “In the short run, we would rather err on the side of allowing some students to evade the restrictions than adopt processes that students regard as inquisitional,” the report reads. Formed in the wake of a 2012 cheating scandal, the Honor Council is comprised of students, administrators, and faculty that hears cases concerning breaches of academic integrity. 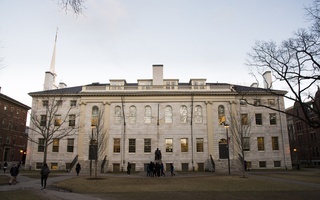 The body is responsible for adjudicating cheating cases, and has the power to hand down disciplinary sanctions such as requiring students to temporarily withdraw from Harvard. While the committee’s report recommended the Honor Council investigate violations of the policy, College spokesperson Rachael Dane wrote in an emailed statement that Khurana plans to enforce the penalties through two different methods. The Honor Council will investigate members of single-gender groups who apply to fellowships. 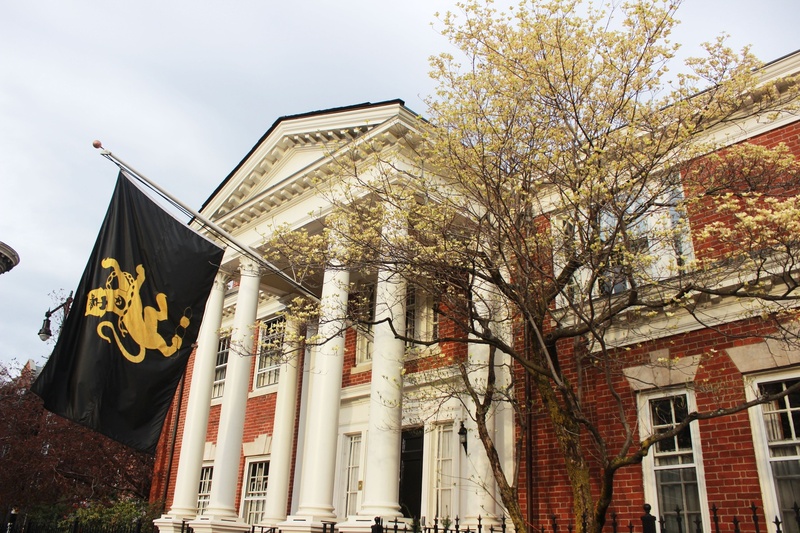 But for members of Greek organizations and final clubs who violate the policy by holding “organizational leadership roles,” the College “will employ a trust-based system modeled after the Honor Code,” Dane wrote. “In any instance, where issues of jurisdiction appear to overlap, as described in the Honor Council procedures, the Dean of the College has discretion to designate the appropriate body,” Dane wrote. The report also calls for for a five-year “bridge” program for traditionally female final clubs and sororities that would allow these groups “to operate with gender focused missions” for some time after the College’s policy takes effect next fall. Douglas Melton, co-chair of the implementation committee, said he recognized the group’s recommendations would not lead to immediate change. “We’re trying to appeal to the better nature in us all,” Melton said. The recommendations expand the scope and detail the enforcement of the policy first announced in May 2016. 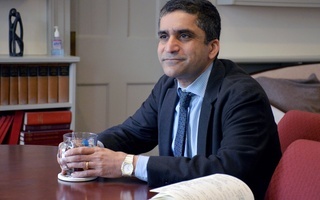 In January, amid Faculty criticism of the policy, Khurana called for the creation of the new committee that will reconsider the policy and deliver its own recommendations next fall. In their final report, implementation committee members wrote that the creation of the faculty committee complicated their work. “These events have fostered skepticism about the intent and commitment to the policy, discouraged those students who are supportive of efforts to transform the nature of the clubs, and undermined the confidence and progress of those groups who have already made difficult decisions to move in a more inclusive direction,” the report adds. The Crimson reported in February that members of the implementation committee were not aware of the new faculty committee’s existence until it was publicly announced. Melton and fellow committee co-chair Kay K. Shelemay said they hoped the faculty committee would build on their work. “We wish them well,” Shelemay said. The report also pointed to “press reports and claims by students and members of USGSOs” that the policy addressed issues of sexual assault as complicating their work. “While that behavior and the environment that encourages [sexual assault] are wholly unacceptable, they are not the sole nor even the primary reason for the policy,” the report reads. Shelemay echoed this point on Monday. “We were not investigating sexual assault, and that was not the reason for which the implementation committee was constituted,” she said. A University-wide task force on sexual assault prevention first formally called on the College to develop “a plan to address the problems presented by Final Clubs” last spring. In the report, the implementation committee additionally proposed a number of alternative social initiatives and potential student spaces. Citing a recommendation from a 2015 report on diversity at the College, the committee also recommended looking into a multicultural “agora”—possibly located in the Smith Campus Center—that “might consist of an attractive lounge, one or two work and discussion spaces, and a kitchen area.” The committee also recommended opening Loeb House to student events, renovating the SOCH as a “party center,” and repurposing administrative offices “housed in prime real estate” for student groups.